Fr. Andriy Kelt was born in the village of Verhnya Bilka. At the age of 16, his pastor encouraged him to attend the Catholic High school in the city of Lviv. While there, Andriy felt the call to serve the Lord in some way. It was between the monastic life and the priestly life. After some time of discernment, he decided to pursue priesthood. In July of 2002, seminarian Andriy started his studies at St. Basil College Seminary in Stamford, Connecticut. In 2003, he went on a mission trip to Kazakhstan in Asia to help teach religion to the Ukrainian Catholic children there. Seminarian Andriy graduated from St. Basil College in 2006 with a Bachelor of Arts. 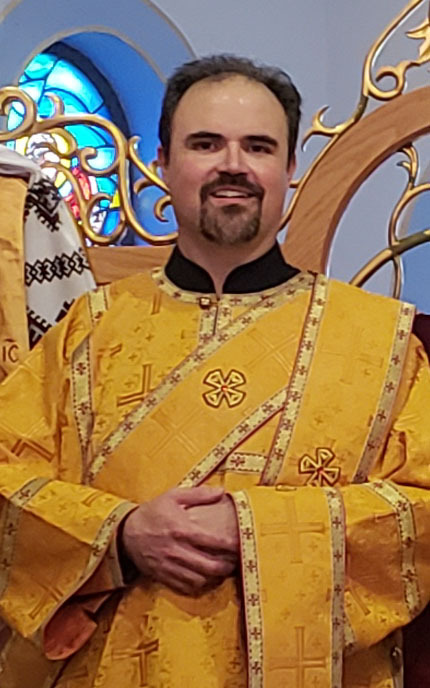 In 2006, Andriy entered the Catholic University of America for the graduate program in theology, while completing his priestly formation at St. Josaphat’s Seminary in Washington, DC. Throughout his studies in both seminaries, Andriy was assigned to different parishes in the USA to observe and help pastors. In 2010 Andriy graduated from the Catholic University of America and St. Josaphat’s Seminary with a Master of Divinity degree. In the Fall of 2012, Father Andriy was ordained a Deacon by Bishop John Bura. On June 26, 2016 he was ordained to the Holy Priesthood by his former rector, Bishop Bohdan Danylo. 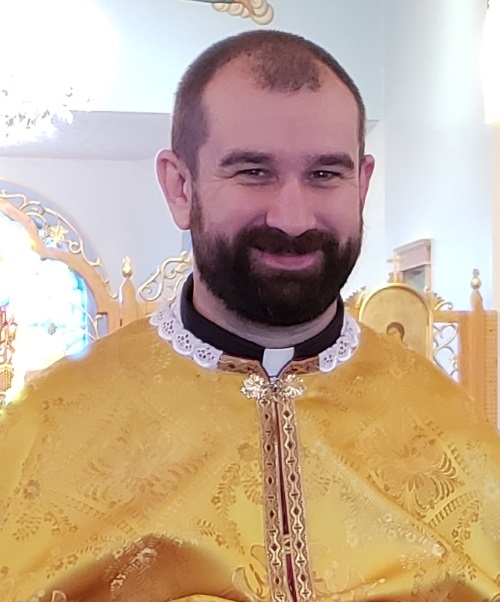 Since September of 2016, Father Andriy serves as pastor of Protection of the Blessed Virgin Mary in Revloc, Pennsylvania, and Immaculate Conception in Northern Cambria, Pennsylvania. Fr. Deacon Christopher Bellock is a life-long member of Protection of the Blessed Virgin Mary parish. He has a B.S. of Ed. degree in Elementary Education and a M. Ed. in Literacy from Indiana University of PA. He received his religious studies from Holy Apostles Institute. Fr. 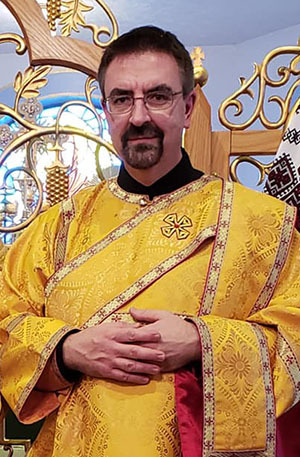 Deacon Anthony Dragani, Ph.D.
Fr. Deacon Anthony Dragani is a professor of Religious Studies at Mount Aloysius College in Cresson, PA. He has a doctorate in theology from Duquesne University in Pittsburgh, PA, and specializes in Eastern Christian theology.